International Coastal Clean Up Set for Sept 16. 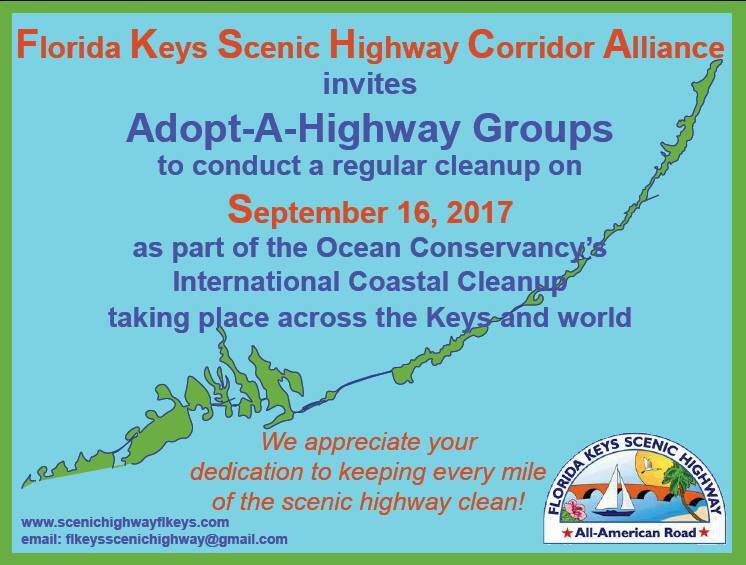 The Florida Keys Scenic Corridor Alliance, along with their partners, are gearing up for their annual Keys-wide roadside and shoreline clean up. The clean up is part of the Ocean Conservancy's International Coastal Clean up. Let's all help keep our scenic highway scenic.